In a mining town in Germany, the orphan Werner grows up with his younger sister, enchanted by a crude radio they find. Werner becomes an expert at building and fixing these crucial new instruments, a talent that wins him a place at a brutal academy for Hitler Youth, then a special assignment to track the resistance. More and more aware of the human cost of his intelligence, Werner travels through the heart of the war and, finally, into Saint-Malo, where his story and Marie- Laure's converge. Doerr's "stunning sense of physical detail and gorgeous metaphors" ("San Francisco Chronicle") are dazzling. Deftly interweaving the lives of Marie-Laure and Werner, he illuminates the ways, against all odds, people try to be good to one another. 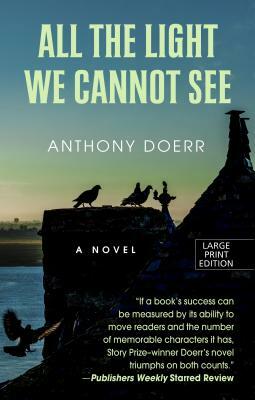 Ten years in the writing, "All the Light We Cannot See" is a magnificent, deeply moving novel from a writer "whose sentences never fail to thrill" ("Los Angeles Times").